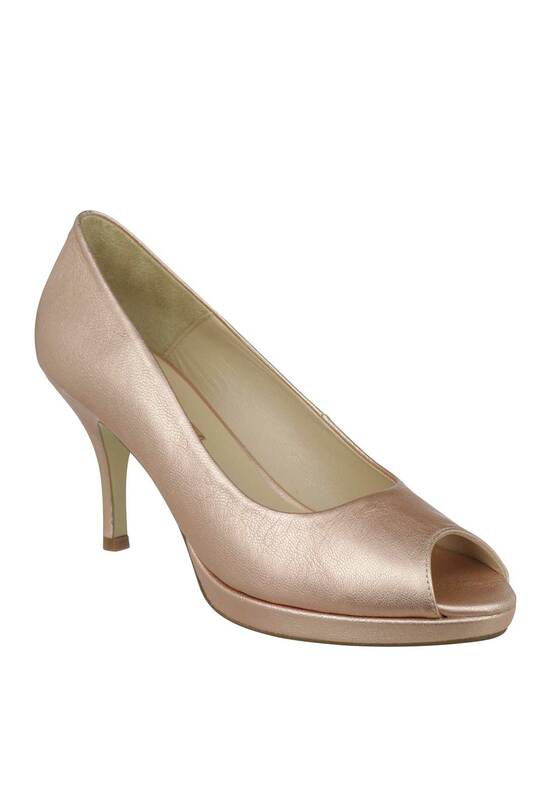 In pretty metallic pink leather, Marian presents these super chic peep toe heels that are sure to get you noticed. The match made in heaven for the Marian envelope clutch (222MRN MMO). Featured with a manageable medium stiletto heel and a platform front for comfort and support.